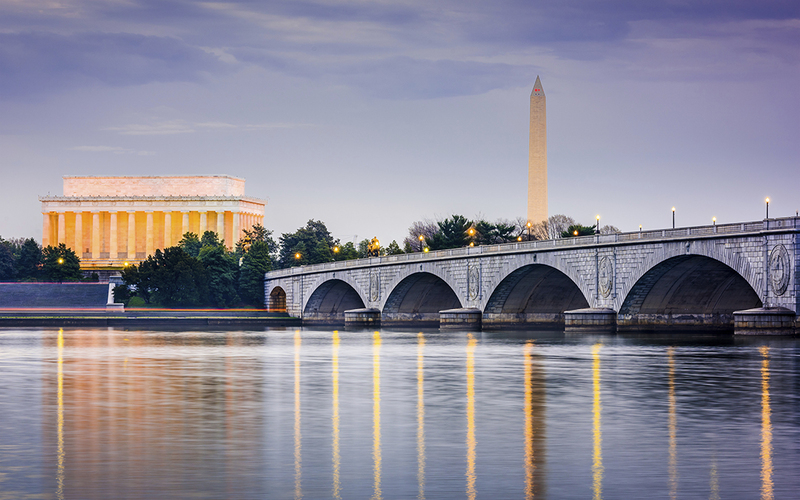 The Arlington Memorial Bridge that links Virginia to Washington, D.C. could be shut down by 2021 without a $250 million overhaul, the National Park Service, which owns the 84-year-old span over the Potomac River, said on June 20. The bridge’s location in the heart of the Nation’s Capital has made it a visible symbol of the nation’s decaying transportation infrastructure, but it’s hardly the only span facing such problems. An ARTBA analysis earlier this year found there are nearly 60,000 structurally deficient bridges nationwide. $14.5 million on the John D Rockefeller Jr. Memorial Parkway in Wyoming. The remainder of the deferred maintenance work includes buildings, campgrounds and water and wastewater systems. The jobs stretch across the nation, from the Alaskan wilderness to the Everglades in Florida; from the Maine coastline to the California border with Mexico. Virginia Sens. Mark Warner (D) and Tim Kaine (D) toured the Memorial Bridge on June 20 to highlight the need for repairs. They were joined by D.C. Mayor Muriel Bowser and Bob Vogel, regional director of the Park Service’s National Capital Region. It wasn’t the first time the Park Service and other officials have warned about closing the bridge. New weight limits were imposed on the bridge during emergency repairs in summer 2015, forcing the rerouting of tourist buses traveling between Arlington National Cemetery and the Lincoln Memorial. Greater Washington regional leaders want Congress to fund up to $150 million for the bridge ‘s reconstruction from the U.S. Department of Transportation’s $800 million FASTLANE program.